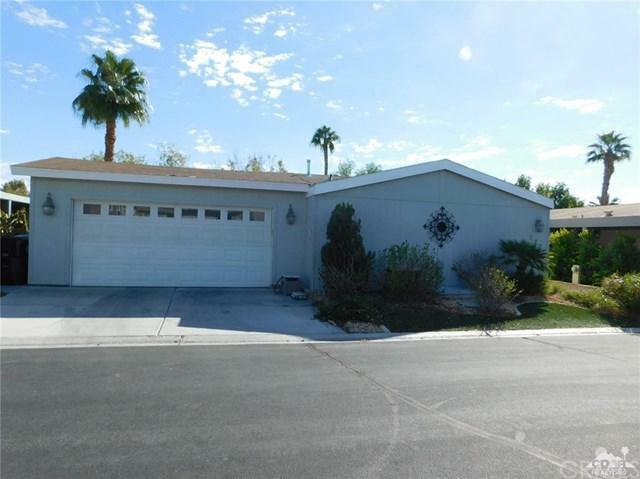 **Don't Miss This Beauty ** One of the very best in Suncrest CC rare 2 car garage, Newer 2006 Home Picture perfect shows like a Model, 2 BR,2BA, Remodeled, Interior is Light and Bright, Vaulted Ceilings, Granite kitchen, Newer Appliances, Home is located on a quiet street tucked away in a quiet section of Suncrest, Great location on Golf Course View From Large Covered Patio. Fantastic Yard. This is in a 55+ community with golf,3 pools, Spas,large club house, tennis, pickle ball and much more. Close to Great Shopping El Paseo,Apple,Baccarat,Banana Republic,Pizza Kitchen,J Crew,and Westfield Mall Palm Desert Bristol Farms have your groceries delivered. Restaurants across St. Si Bon,Grill-A-Buger, Papa Dan's, Sherman's Deli. You could not find a better location for easy living. You have to see it to believe it!